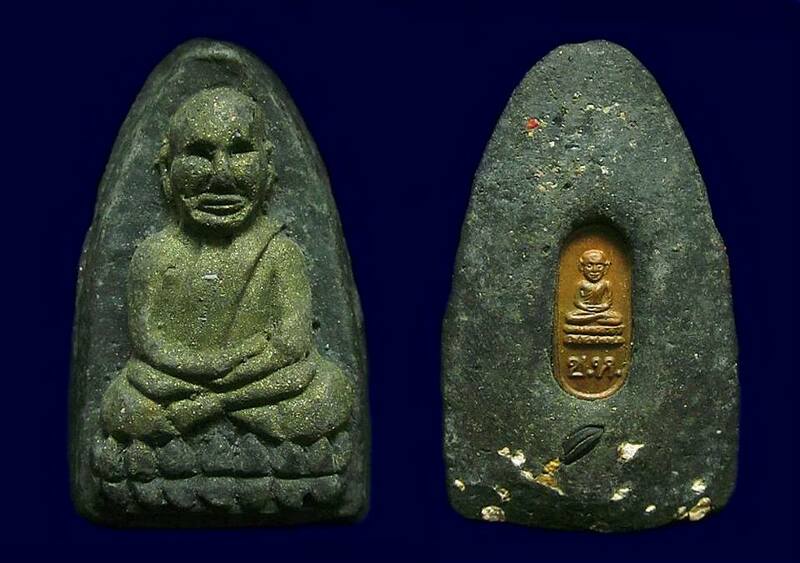 Phra Phong PhuChai Yodri SumReunKaew Luang Phor Perm Wat KlangBangKaew BE2518. Blessed by LP Perm and many other great monks during that era. 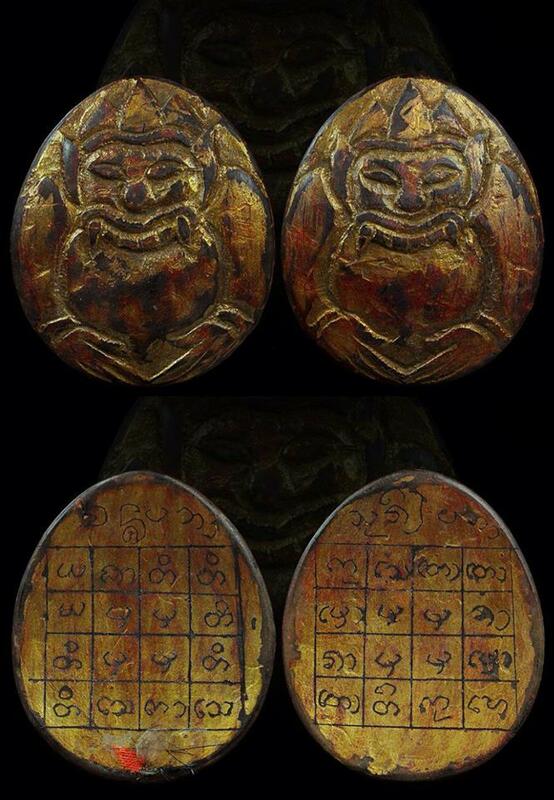 Rahu Phim Yai Kruba Lert Wat TungManTay BE2549-2551. Single eye coconut material. 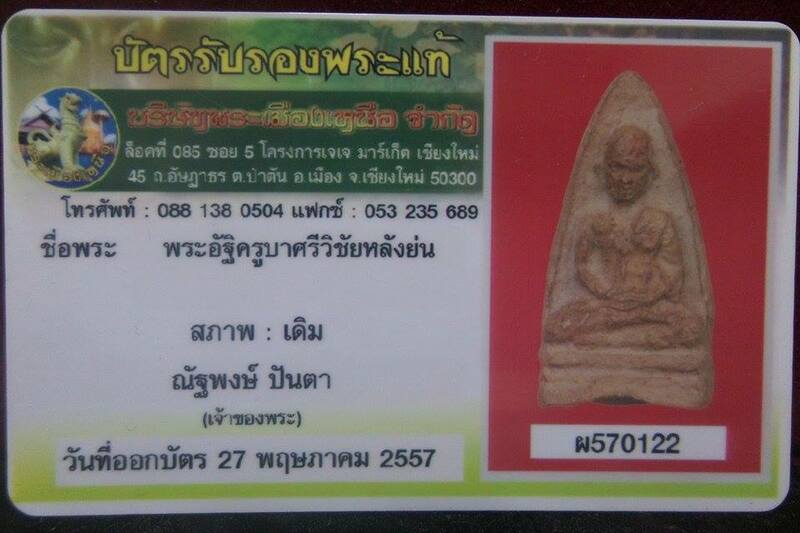 Phra Kring Luang Phor Kasem Wat SusanTrairak BE2532. Nur Ngern. Co-blessed by Long Phor Doo Wat Sakae. 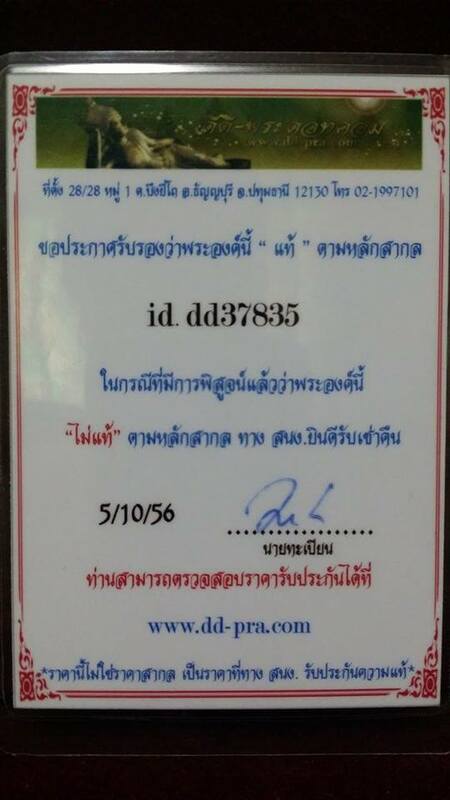 Come with Pra Muang’s certificate for authenticity. 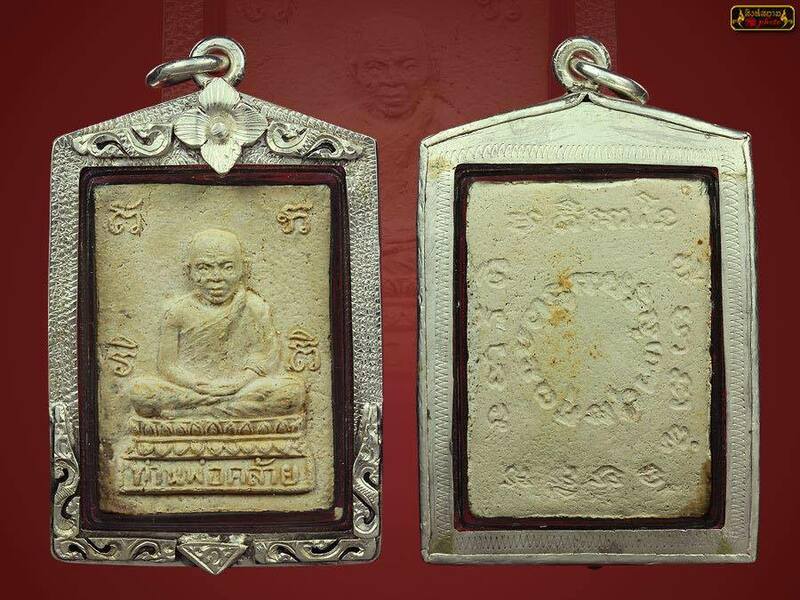 Luang Phor Thuad Phim Yai Luang Phor Thong Wat Sampaocher BE2545. Phim Phisek back with mini LP Thuad medal. Herb material, made less than 50 pieces only. 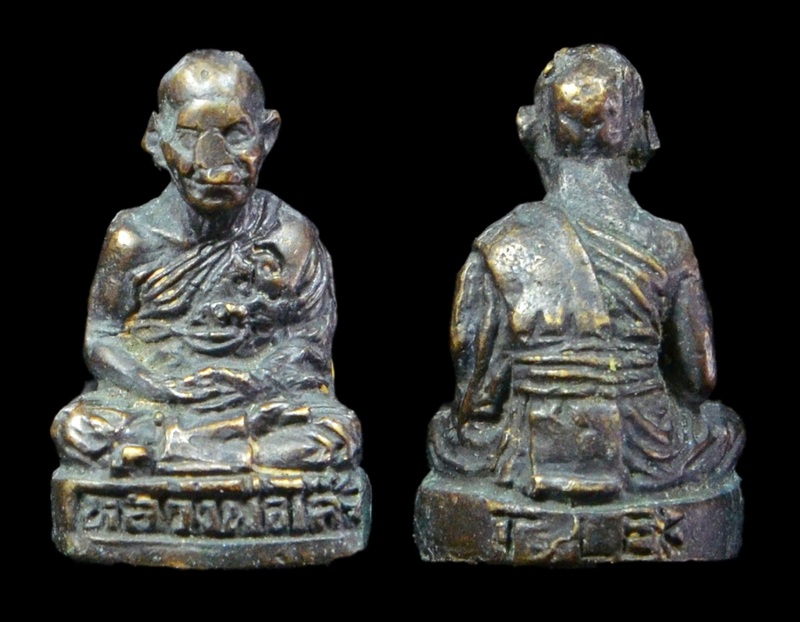 Somdej Phim Yai Luang Phor Lamphu Wat Bangkhunprom BE2502. This batch of somdej mixed with lots of broken old somdej bangkhunprom which made by Archan Toh. 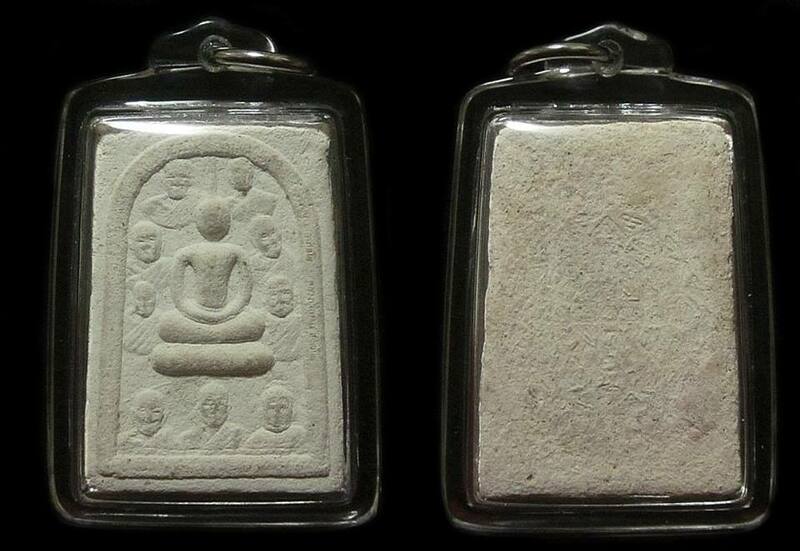 It won No2 Placing in Thailand Amulet Competition. First batch Rooplor Phor Than Lek Wat Ariyakiri. 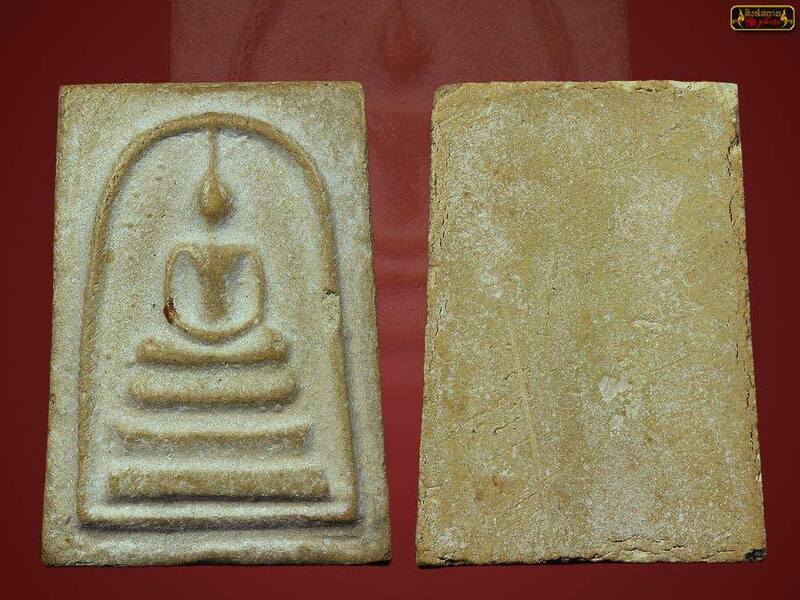 The material is mixed with the bowl used by Phor Than Lek when he was alive. Made 499 pieces only. This batch of rooplor blessed by Chao Su & Than Long. 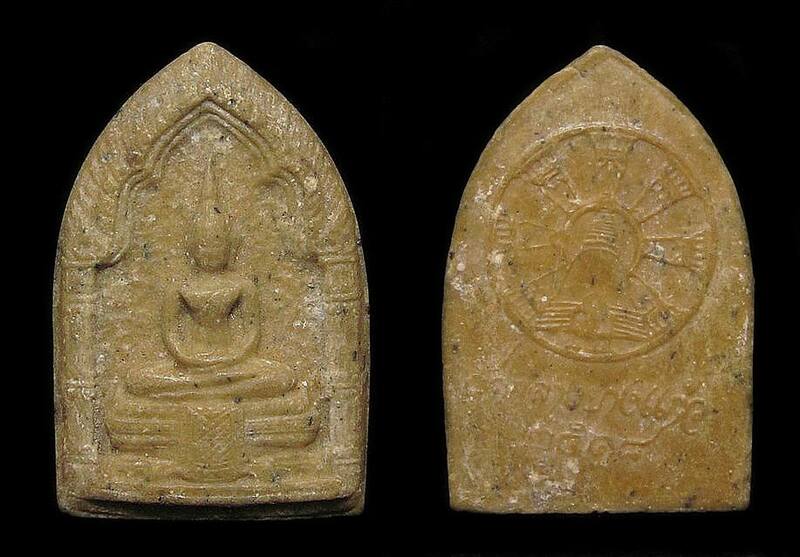 Somdej Luang Phor Nak Wat Rakang BE2495. 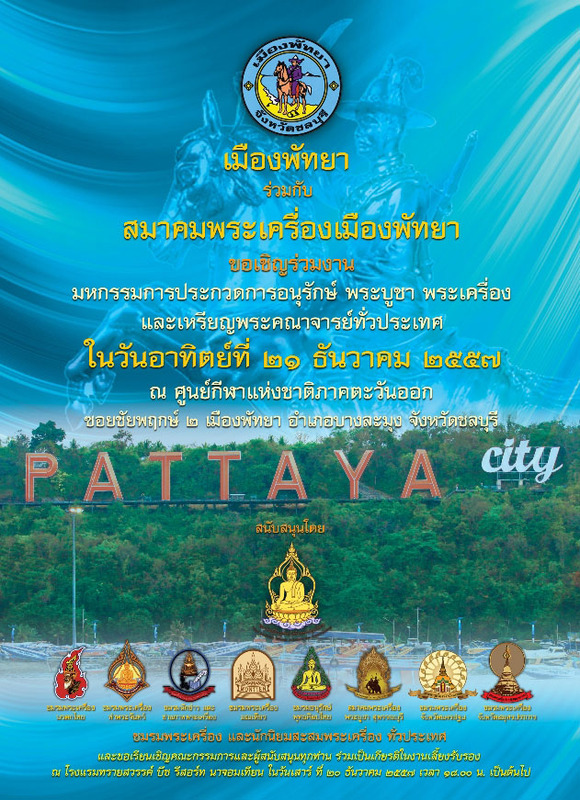 It won No4 Placing in Thailand Pattaya Grand Competition on 21st December 2014. 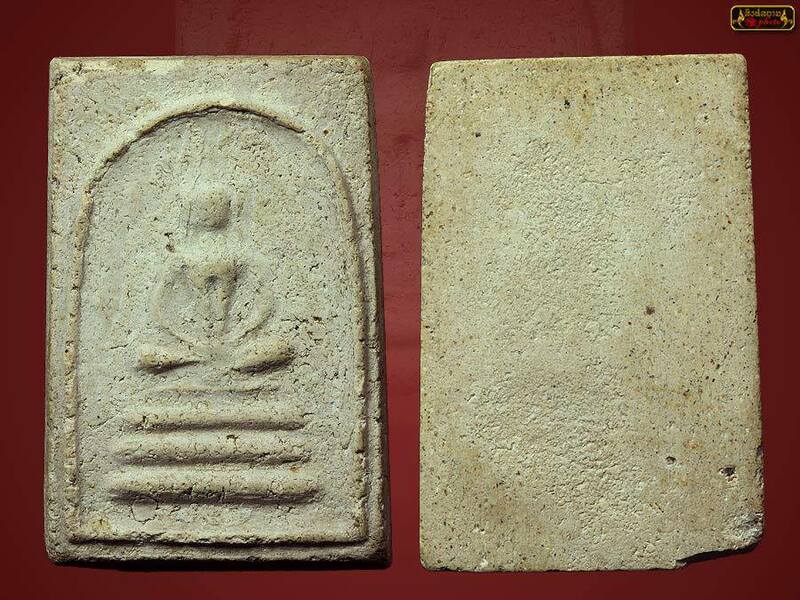 Roopmuen Phor Than Klai Wat Arun BE2506. Nur Phong, soaked in holy water. It comes with DD-Pra certificate for authenticity. It comes with Silver waterproof casing. 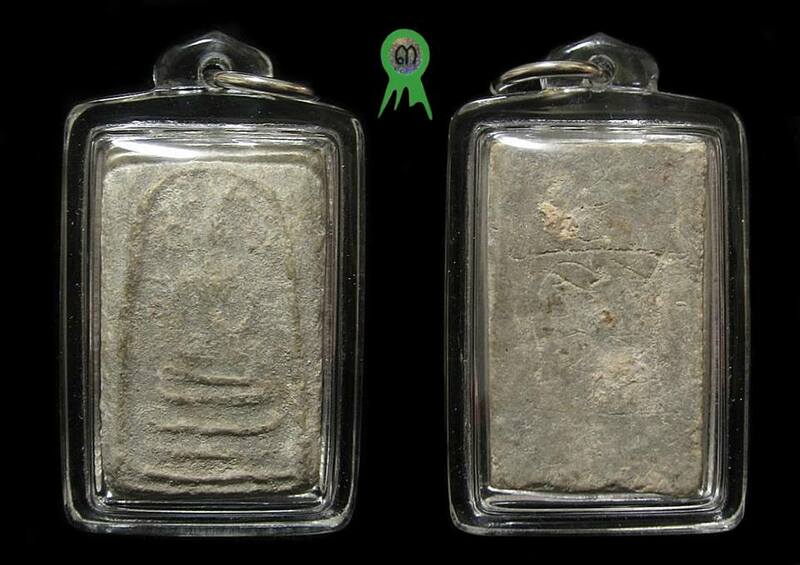 Jade Buddha Set Long Phor Viriyang Sirintharo Wat Dhammamongkol BE2536. 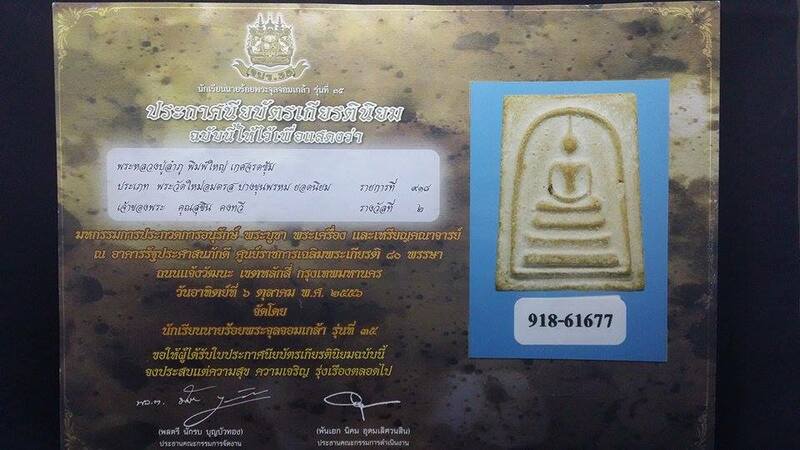 Somdej 9 Arahants BE2538, initiated by LokThip Foundation to raise fund for several projects to support Buddhism. The Somdej has great content and great blessings. 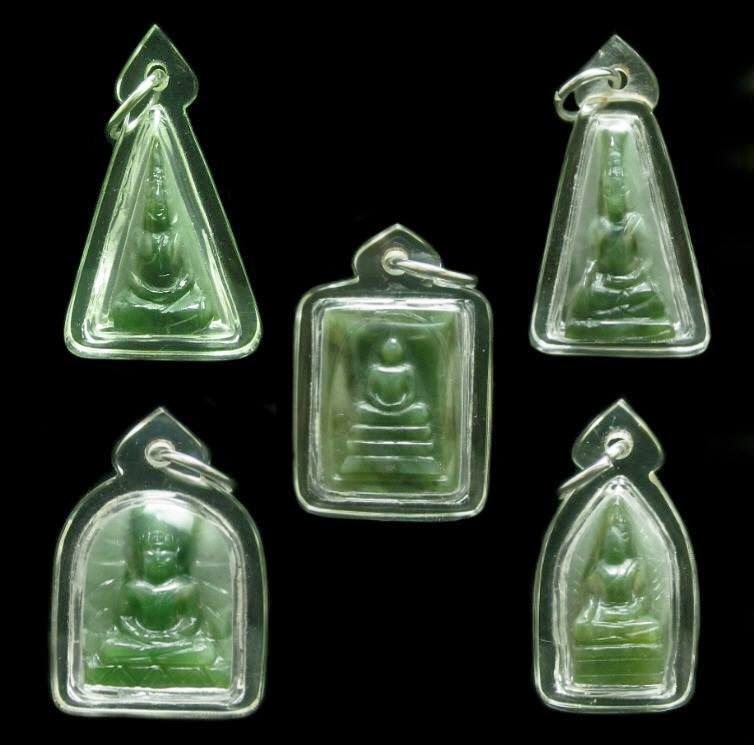 The Somdej 9 Arahants is now rare, and a very great amulet for anyone who want to be blessed with Metta, life safety, happiness, career progress, family harmony, wealth & fortune, etc. 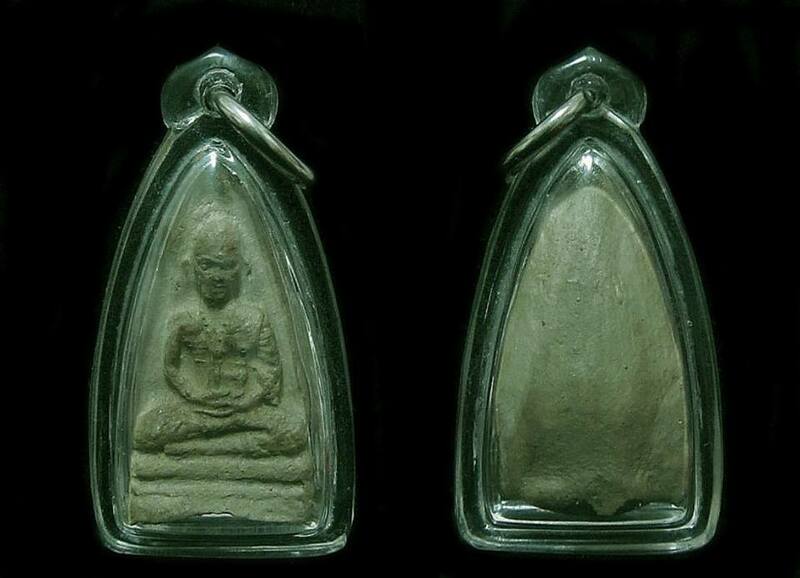 Phra Roopmuen Kruba Srivichai Roon 1 Aut Ti (Bone ash) Lang Yon (back with wrinkled) BE2489. Nur Din mixed with Kruba Srivichai’s bone ash. Green color, rare. Blessed by Phra Khru PraSat Sutakom, Wat ChamThewi. 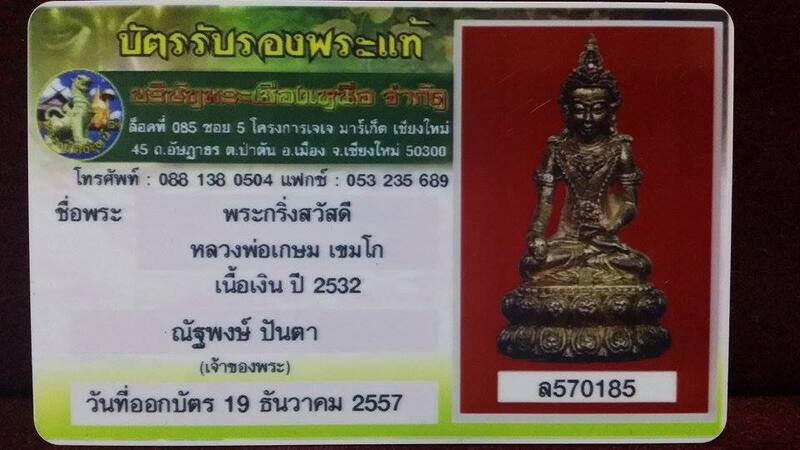 Come with Pra Muang certificate for authenticity. 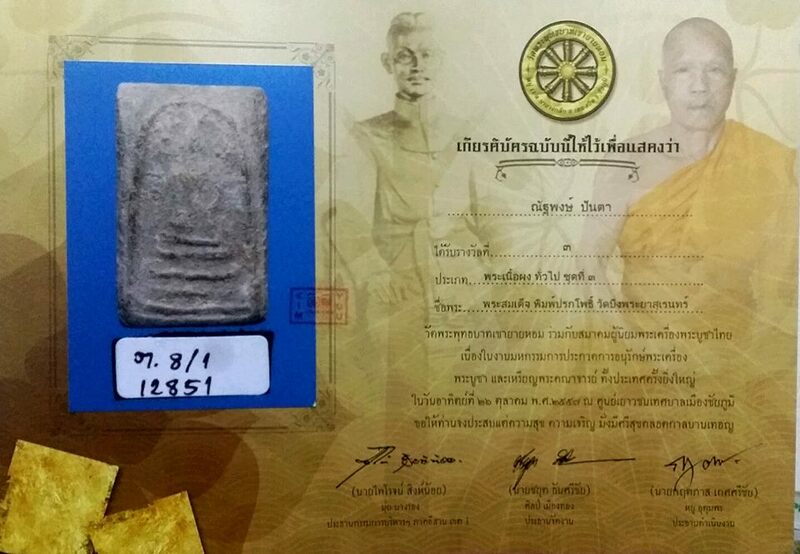 Phra Somdej Khru lang yant Wat Bung Paya Surin BE2431. 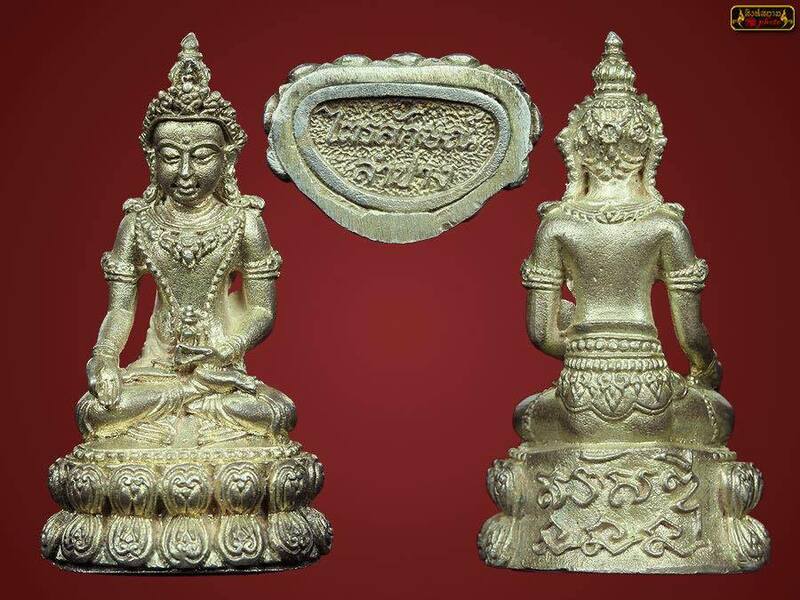 Luang Phor Tong Wat Rachyota helped in the making and blessing of all the amulets. It were then keep inside the pagoda. 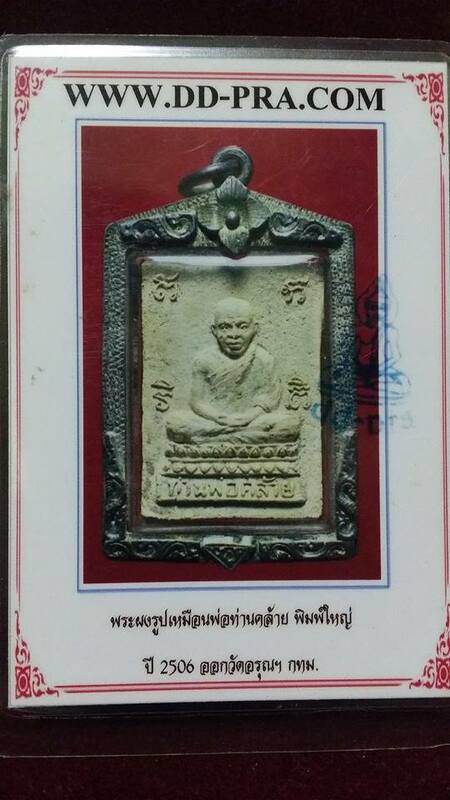 It won No3 Placing in Thailand Chaiyaphum Amulet Competition on 26th October 2014.